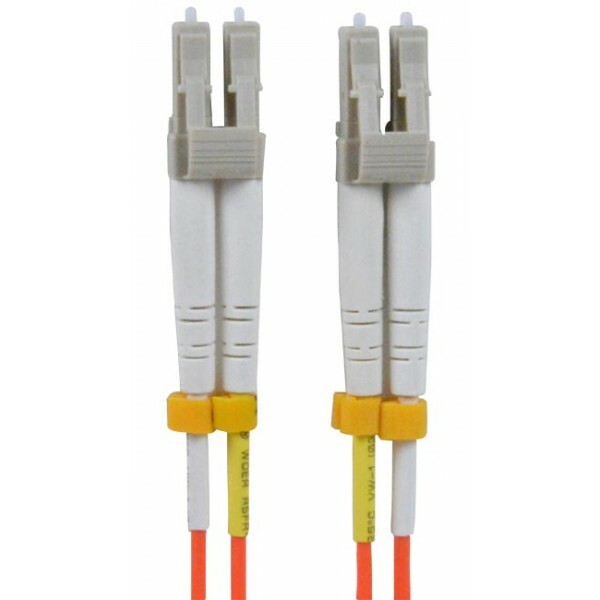 62.5-micron Duplex Multimode Fiber Optic Patch Cable, 15 meters, with LC to LC connectors. Features a 62.5-µm core and 125-µm cladding. 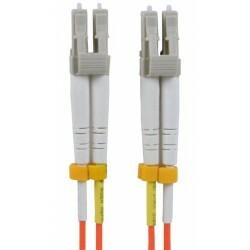 Duplex cable is joined together in a zipcord style for easy separation.